OUR PLACE is about family, culture and the place that we live in. OUR PLACE is about us. ‘Our Place’ presents a humorous and dramatic insight into the everyday life of Aboriginal Australians in remote communities. There are stories about school attendance, the perils of wrong skin love and the difficulties in staying “off the grog”. 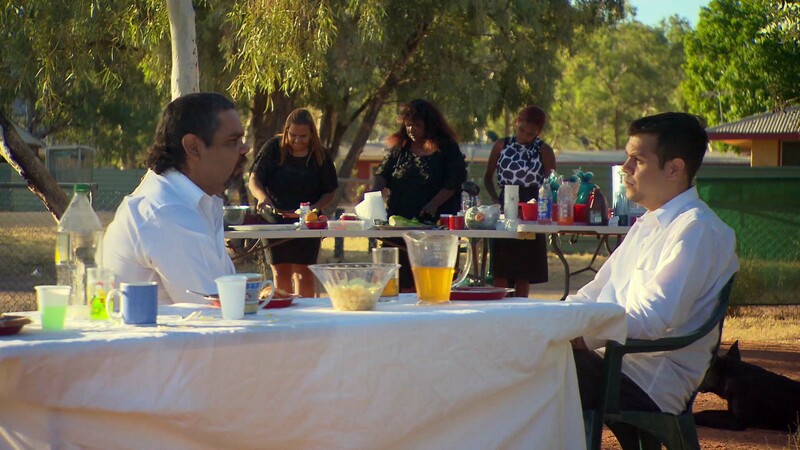 Produced along the lines of a telenovela, OUR PLACE has a struck a chord with Indigenous viewers in remote Australia. 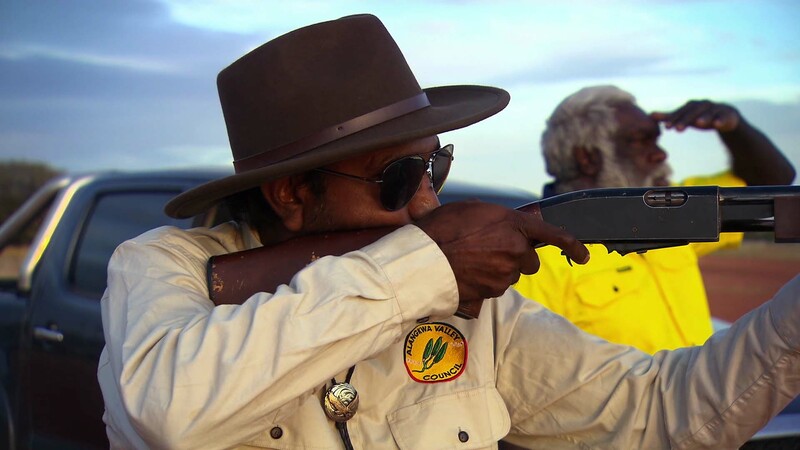 Written and directed by local Indigenous media makers, Warren H Williams and Micha Bartlett, the series features an impressive all Indigenous cast of local talent and was shot in Amoonguna and Alice Springs in 2015, and was broadcast on ICTV in 2016. Over 100 Indigenous Australians were engaged during the development and production of OUR PLACE in a variety of roles including storytelling workshops, writers, directors, actors and in crew roles. OUR PLACE was produced primarily with funding support from the Department of Prime Minister and Cabinet who saw an opportunity to tell positive stories about Indigenous life in remote Australia. ICTV is currently exploring opportunities for a second season of OUR PLACE. Our first meeting with Alangkwa Valley, and Napanangka a mother of three and a grandmother of three, is getting ready for a funeral. As family are arrive in Alangkwa Valley for sorry business, Napanangka sends Celine to town to pick up her sister Whitney from the bus and pay for the final funeral instalment. Lionel is worried about sending Celine, who is going into town with her cousins Hope and Faith. Written by Warren H Williams. When Dion and Mali skip school, a mark is left on Lionel's important visit from the Minister. Celine takes the kids to Hope's house after a fight with Napanangka, and Dion and Mali skip school. This leads to an unexpected surprise for Lionel during his very important meeting with the Minister after the two wagging kids leave their mark on Lionel’s dream for a new grandstand at the Alangkwa football oval. The worst kept secret in Alangkwa Valley, the wrong skin romance between Whitney and Ronnie, is thrust into the community torchlight when Lionel takes a ride along with Night Patrol. What starts out as a hunt for bush foods, ends with the wrong skin romance trial of Ronnie and Whitney. After Lionel jumps in with the boys on Night Patrol, the wrong-skin secret is well and truly out, and amongst all of the heartbreaking chaos Arthur arrives in town. Whitney's kids are missing and she has to get to court, which leads to a blowout with Arthur, a missed court appearance, and an unwelcome date with the law. Arthur arrives bearing gifts, while Celine makes amends for losing the funeral money. The next day with her court appearance only hour’s away, Celine’s kids are missing. Thinking that Arthur has kidnapped them away to Darwin, a frantic community scramble gets underway. Amidst the chaos, the funeral goes ahead at last, and an unwelcome visit from the police puts a sad spin on an already blue day.